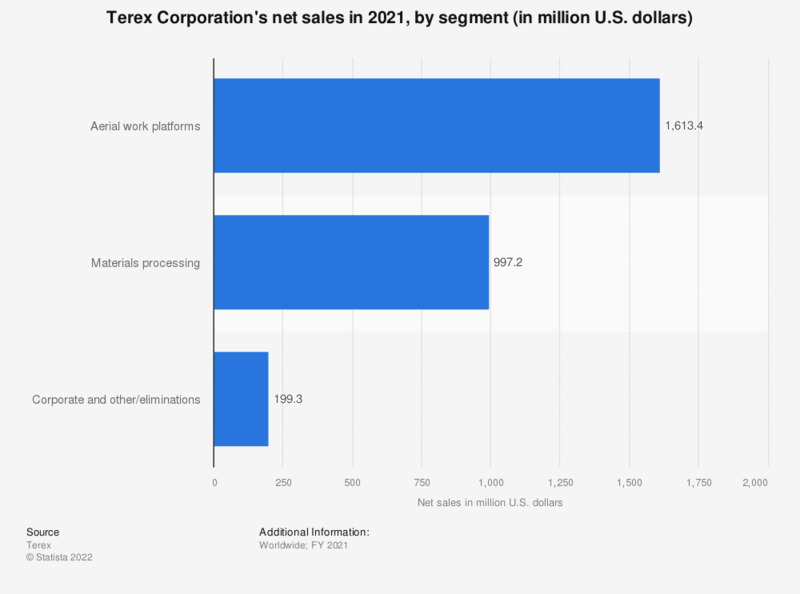 This statistic represents Terex Corporation's net sales in the fiscal year of 2018, by segment. That year, the company's cranes segment contributed some 1.3 billion U.S. dollars. The company’s major business segments include aerial work platforms, cranes, and materials processing.